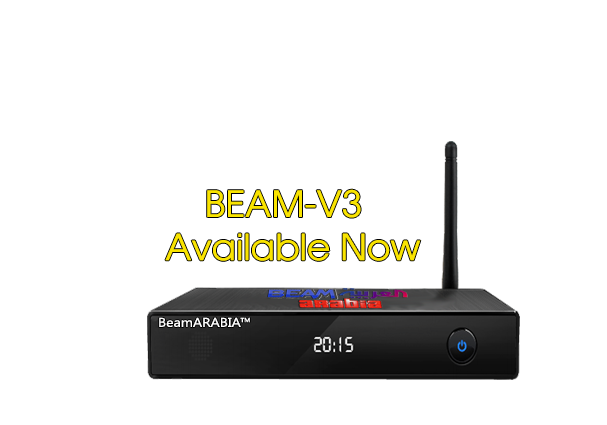 BeamArabia Arabic IPTV Box. Specifically designed by us to provide the Arabic community with the absolute best IPTV & Streaming package. Not available anywhere else! 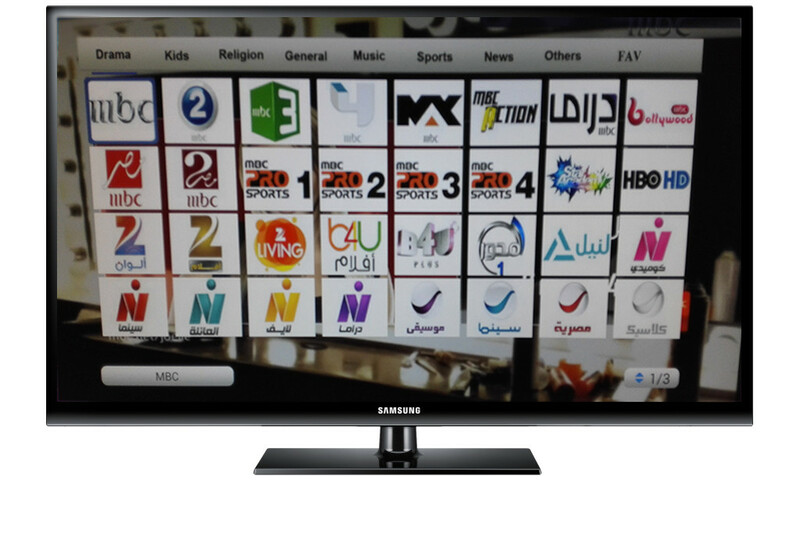 Over 400+ Arabic Channels using UFCC & Freeze-less Technology. Unified Fast Channel Change (UFCC) allows the BeamArabia Arabic IPTV Box to operate like a standard TV. Change channels using the up and down buttons on the remote control, for simple and ease of use. This is especially convenient for the older generation who want something that is simple to use. The BeamArabia Arabic IPTV Box stands out from the crowd, with a bufferless viewing experience. BeamArabia uses multiple high speed servers to host and maintain the Arabic channels. This means that there will be little to no congestion while watching Arabic IPTV (no buffering). Many of our competitors use a single or shared servers, which is why you may have experienced buffering while watching IPTV in the past. Some suppliers offer “arabic iptv box free for ever – one time payment”. Please be mindful of these suppliers, the channels will not be reliable! No satellite or dish required, the BeamArabia Arabic IPTV Box only requires an internet connection to operate. The BeamArabia Arabic IPTV Box can connect to the internet via WiFi or ethernet. Once connected to the internet, the box will automatically connect to our servers and provide you with access to all of the Arabic channels. (Login Authorization will be required and supplied once purchased). Watch all of your favourite Arabic channels, including; arabic drama channels, arabic news channels, arabic sports channels, arabic movie channels, arabic series channels, arabic religion channels (islamic and christian channels available), arabic kids channels, arabic music channels + so much more. The arabic box comes with 2 years FREE activation. After the 2 years are over, you will need to recharge for another 2 years in advance. (you will receive notification on your screen when there is 30 days remaining for your service). To see the latest recharge price, please click here. 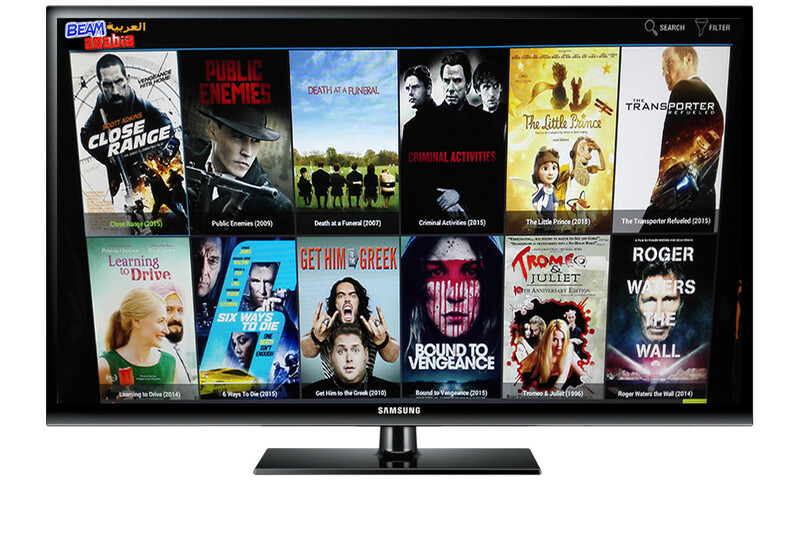 The BeamArabia Arabic IPTV Box also provides access to the latest English Movies & TV Series on-demand by using a third party application. Stream the latest english movies in the comfort of your home, as well as your favourite english TV Series, all on the BeamArabia Arabic IPTV Box. Quran القرآن الكريم ON YOUR TV. The BeamARABIA Box has pre-installed Quran app which allows you to recite any & all Surah’s directly on your TV (with different voices/translations available). – Beautiful and smooth page transition effect. – Landscape mode for even larger fonts and more comfortable image viewing. – Bookmarking and tagging of an unlimited number of pages. 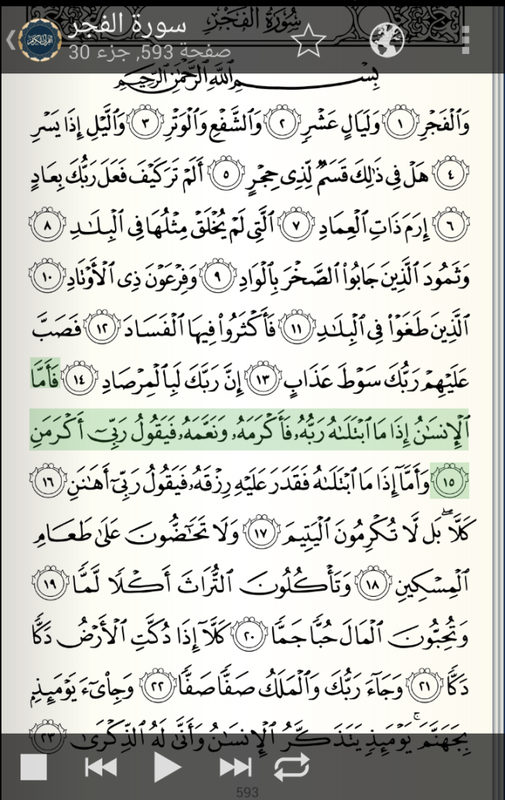 – Quran translations in many different languages (currently, Arabic Tafseer, English Sahih International Translation, French, German, Indonesian, Malay, Spanish, Turkish, Transliteration, and Urdu) with more coming soon. – Search your favorite translation. – Audio recitation (with verse highlighting) for 18 different reciters, with more coming soon insha’Allah.